Cheesecake – gluten-free, delicate delicious! Recipe. Flax There is 1 product. 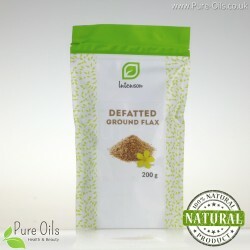 Ground Flax Defatted is a source of protein and fibre. Additionally this product contains polyunsaturated fatty acids as well minerals such as: zinc, calcium, magnesium, and iron. Ground flax is an excellent addition to the daily balanced diet.